Are you looking for a hair transplant clinic in Delhi that guarantees a totally undetectable and minimal pain hair restoration? By the end of this blog you shall have a good idea about the advanced methods of overcoming hair loss and the best hair transplant clinic in Delhi. 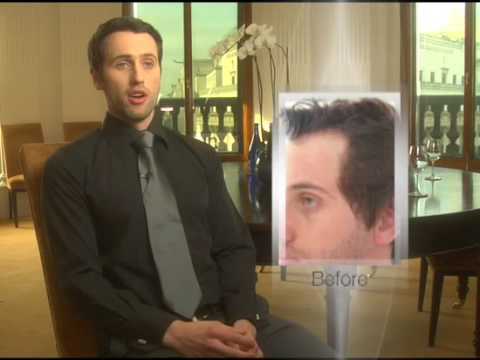 Hair transplantation is an advanced procedure of restoring hair on the bald areas of your head. This includes two major elements that one needs to understand: the donor area and the recipient area (or also called balding area). If we begin to analyze the process of hair loss in people, we will find that it is the top of the head which tends to shed hair the most. It is this area which is dominated by hormones that cause hair loss which is mostly a hereditary complex. The sides and the bottom of your head grow hair follicles which are not affected by these hormones; which in turn keeps the hair intact in this areas. This back part of the head becomes the donor area, from where follicles are grafted to the recipient area of the head. The procedure of grafting the follicles from the donor area to the recipient area on the patient’s head is what is called Hair transplantation. This brings you to the next most frequently asked question in regards to the transplant: Is the hair that is obtained from the donor area for a hair transplantation procedure permanent once it is implanted in the balding area? The answer is Yes! Hair transplants have been around for more than 50 years and used to successfully treat patients from around the world who suffer from hair loss. There are ways to do this: STRIP method and FUE hair transplant technology. Alvi Armani, one of the leading hair transplant clinic in Delhi and worldwide, aims for a quality and undetectable hair transplant. With the FUE hair transplant in New Delhi, at Alvi Armani, you can opt for a minimal pain, affordable and most undetectable hair transplant. It has been a choice for celebrities, sportsmen and the common masses alike. The team of experts and professionals at Alvi Armani is led by the able guidance of Dr. Arihant Surana, a very well known hair transplant surgeon and cosmetic dermatologist in India. So, here you reach the end of this informative piece with answers on various frequently asked questions on Hair transplantation and the best hair transplant clinic in Delhi, Alvi Armani, and the factors which makes it the best. For any further information or pre transplant consultation, feel free to write to them at: https://www.alviarmani.in/contact-us/ or visit their website: www.alviarmani.in .